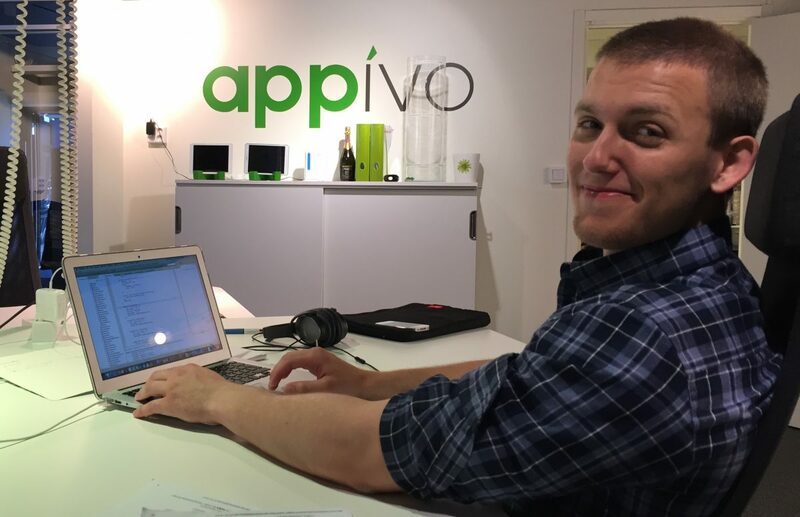 Appivo just had a new employee (join), his name is Alex Dal, he’s a boy – 6’1″ and weighing in at 180lbs. Both company and employee are a bit exhausted after the delivery, but healthy and doing well. Alex is no stranger to us, but he’s finally joining us full-time. Alex will be part of our R & D team at the Örebro office and is a much welcome addition that will help us reach our big goals even quicker. Alex’s initial main focus will be to help build out the Bu:sy suite of products. Alex lives in downtown Örebro but hails from Upplands Väsby, in his spare time he likes to lift weights, play computer games, eat eggs and come up with new ways of preparing falukorv (a traditional Swedish sausage). He once spotted Jonas Gardell wearing wooden clogs when shopping at ICA. His favorite bird is a penguin and he dreams of one day visiting Hobbiton. Alex has B.Sc in Computer Science from the University of Örebro. Please join us in giving a big, warm welcome to Alex ! Previous: Previous post: Are You Too Busy to Run Your Business? Next: Next post: Appivo is Hiring!